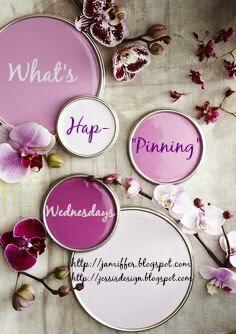 Today I'm sharing some of my favorite pins recently that shed some light on future project plans. Thanks for stopping by and don't forget to grab the button and link up with Jenn and I for today's edition of What's Hap-'pinning' - can't wait to see what ya'll have going on! I've said it before and I'll say it again, you have great taste, lady! I mean we should decorate homes together ;)! 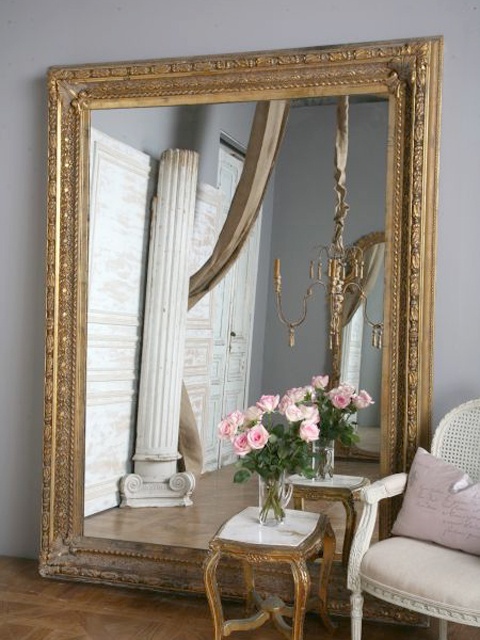 LOVE that mirror!!! I love all of these inspirations. THe pink couch with pink/green pillows! The pink lamps! The pink globe! oh my! Your glam design style is so pretty! All that gold - beautiful!! 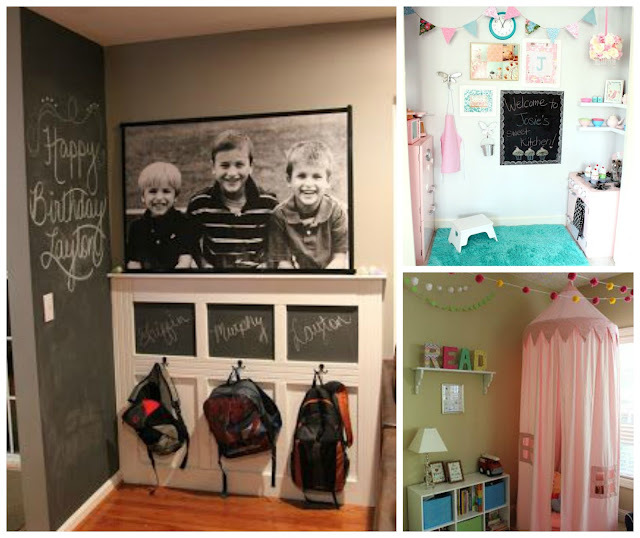 I love that chalkboard accent wall in the mudroom pin. I will definitely be doing that in my house!! So much great inspiration! I LOVE that giant mirror. I feel like I need that in my life, I just don't know where I'd put it haha! Oh my gosh that play kitchen is adorable! And I'm loving the 4 poster beds. Swoon. 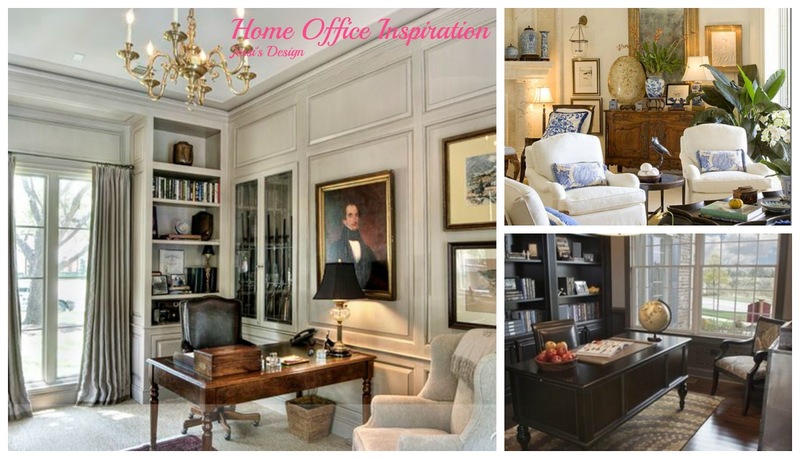 Pinterest and home decorating are the perfect pair. 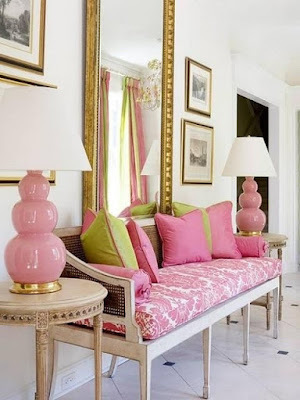 Oh that pink and green sitting area is everything!! 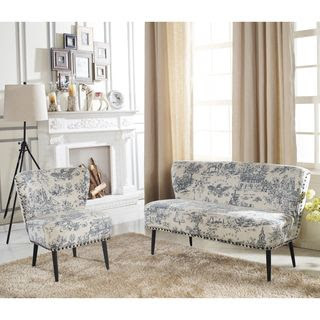 I totally wish I had space for a sitting area. Love it all, but that pink seating area?! YES PLEASE! So gorgeous! I love your design ideas!! 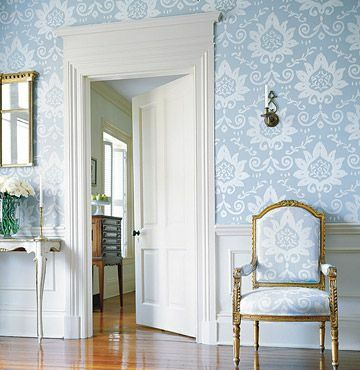 I'm especially in love with the pictures you chose for the sitting room area - so classic! Looks like you already have and will have an amazing house! I love antiquing! Mid-century modern has been one of my favorite "old" styles. I need to come visit so you can take me and show me the ways of antiquing - I've always wanted to go! 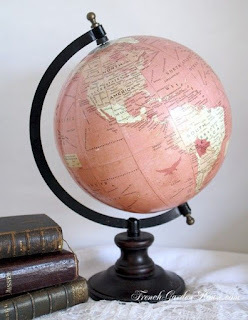 I love that pink globe – so cute! 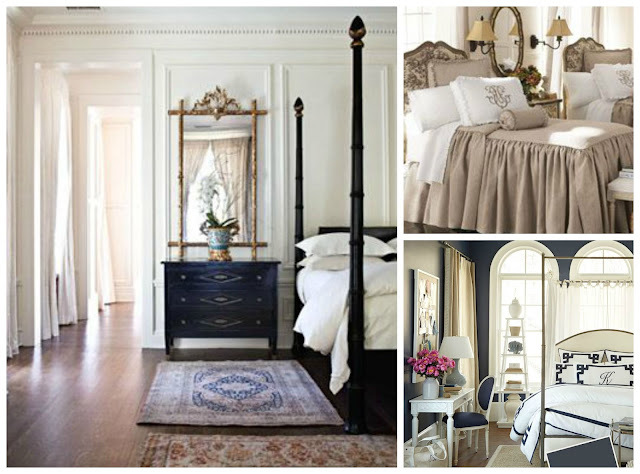 All the guest bedrooms are amazing – I love the navy/white combos and am wishing we used that – definitely when we redo! Love all your pins! The office and guest bedroom ones are my two favorites. How I wish I had a bigger place to do some of these fun things! Love love love you guest room inspiration! Everyone will want to come visit! oh my gosh i love it all! the guest room inspiration is fabulous. i wish my house was more pinteresty.